The disorders induced by iodine deficiency affect at least one billion people. Because ofits effects on brain development, iodinedeficiency is the single most preventable cause of mental retardation in the world. Therefore, the United Nations and the Heads of State of almost all the world's countries represented at the Summit for Children in 1990 adopted resolutions to eradicate the disorders induced by iodine deficiency (IDD) by the year 2000. For geological and socio-economic reasons, most of the populations affected by iodine deficiency disorders live in isolated and usually mountainous areas, in pre­ industrialized parts ofthe world. 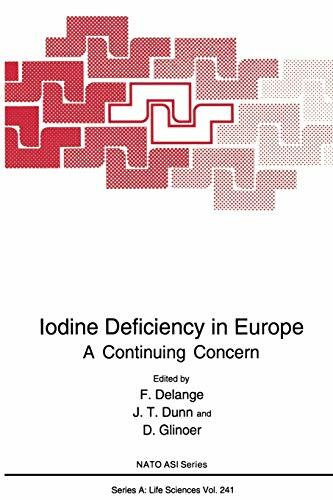 The problem of iodine deficiency in Europe has been greatly underestimated in the last decades. After the remarkable studies on the effects of iodine deficiency and their prevention and correction in Switzerland, IDD was generally considered no longer a significant public health problem in Europe. However, surveys carried out in the early 1980's under the auspices of the European Thyroid Association, clearly demonstrated the persistence of moderately or even severely affected areas. These surveys also highlighted the lack ofinformation about large parts ofEurope, especially its eastern part. It is only quite recently, following major changes in international relations and thanks to the support of UNICEF, WHO, the International Council for the Control of Iodine Deficiency Disorders and the European Thyroid Association, that more extensive surveys have been conducted in several parts of Europe hitherto almost unexplored. These surveys showed that most European countries were iodine deficient.